For business owners looking for support with structure, focus, and execution. Are you looking for support to grow your business? Do you need mentorship, accountability, and seasoned advice? Do you feel like you have a thousand things to do, but don’t know what you should tackle first? Do you find yourself not finishing major tasks that could make a real impact on your business? Let’s solve things! For small business owners, I offer both business strategy and mentorship programs to help your business grow, and help you grow professionally as an entrepreneur. For startups and mid-sized businesses, I offer monthly strategy and project management packages to help your team stay on track. We assess your needs to help you choose the right tools and software for the current stage of your business. We work on goal setting, time management, and prioritization to make sure your project management is successful. We look at your current social media marketing strategy to determine where you should be focusing your time and energy. (If you don’t have a social strategy, we can work together to build one.) We’ll also focus on traditional marketing, and email, to make sure that you have a comprehensive strategy. We work on prioritizing the MOST important action you can do to grow your business and cut the fluff. Ever spent 2 hours..4 hours… the entire day… on social media, and realized that you have gotten no where with your business? Right. We’ll fix that! Sales, networking, outreach, actionable marketing are the name of the game. Additionally, we work on your lifestyle and mindset as a business owner. Entrepreneurship is a tough road, and the path can often lead to burnout. What are you doing to build up your own energy, live the life you intend, and give back to the community? We’ll dive deep into your story, what you’ve been working on, thinking through the market and any potential challenges, and start coming up with a concrete action plan for your next steps. I then take a few days to digest what we’ve talked about, share my notes from the session, and then follow up – and make connections where I can! With more time to work with each other, in the three month package, 1-1 strategy sessions focus on helping you set up systems and workflows to run your business efficiently. Questions? 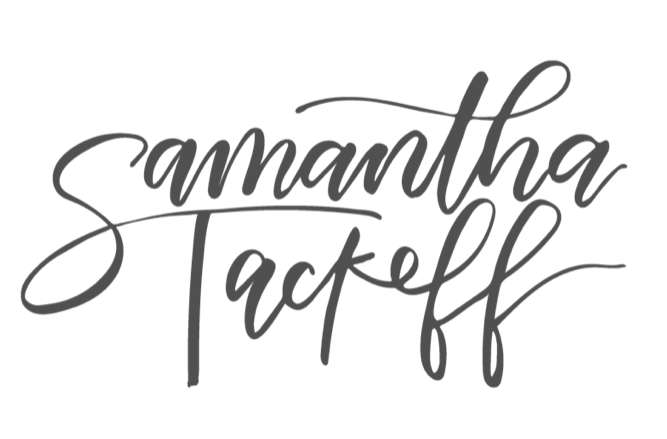 Email me at sam@samanthatackeff.com to set up a free 20 minute call.